"In a world where time is of the essence FLS offer us a punctual response with great communication and work practice"
"The quality of translations are fantastic. FLS translated my emails into five languages with a great turnaround time." "I would not hesitate in recommending Foreign Language Services to any client, customer or candidate." "Their expertise and high quality translations, combined with excellent service levels ensure that FLS remain a key supplier to JCB Service." "Foreign Language Services offered us an extremely efficient and accurate service to translate our brochures with a minimum of fuss and cost." 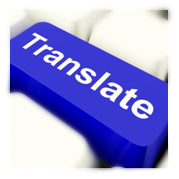 If you are a large organisation with extensive and regular translation requirements then Custom Machine Translation can really come in to its own. To benefit from machine translation you need a to have a sizable quantity of Translation Memory data readily available to process. Machine translation is most successful when it is used for technical translations whether the industry is automotive, aerospace or industrial. Machine translation increases the productivity by providing a “first pass” translation before highly qualified human translators post edit the MT. A bespoke machine translation is vastly superior and should never be confused with free and often inaccurate translation “engines” that are readily available on the internet. These engines are not anywhere near as sophisticated as bespoke machine translation solutions. Tailored to your industry, tailored for your terms and corporate style. Foreign Language Services have had Machine Translation fully functional for specific clients now for over two years, yielding great results in the top ten utilised languages. Creating bespoke solutions for our clients, we can have created MT engines which can reduce translation prices by 30%! Should you outsource your language translation?